Changes to Landlord-Tenant Law Allow Landlords to Recoup Attorney’s Fees – The Humphries Law Firm P.C. 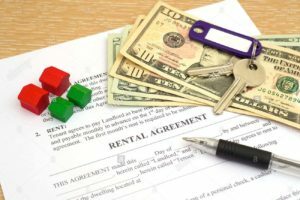 North Carolina residential landlord-tenant law has traditionally sought to protect tenants by limiting fees a landlord can charge. A recent amendment to N.C. Gen. Stat. § 42-26 contained in Senate Bill 224 gives North Carolina landlords additional recourse for when taking tenants to court for nonpayment of rent or default on a lease. 12% of monthly rent, magistrate appeal second trial fee. Under the current law, a landlord may seek an attorney fee up to 15% of unpaid rent (or current month’s rent if default is based upon factor other than nonpayment) as a remedy in court if it has a provision authorizing attorney fee awards in its lease. In light of this recent North Carolina real estate law change, residential landlords should review their leases to maximize potential recovery against defaulting tenants.